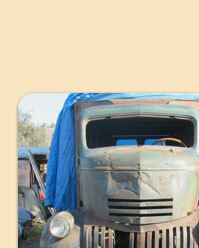 This web site will serve as a documentary of sorts to keep interested viewers updated on our progress of the restoration. More importantly, this site will document any changes we make that stray from the original design and construction of Truck One. 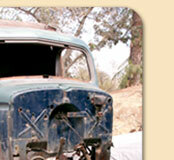 Rest assured Creeper Truck fans, that we intend to restore this truck to movie standards. 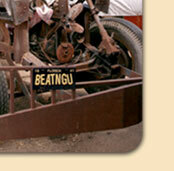 We will update it and make it drivable, and fast, but it will maintain it’s original structure and movie charm! 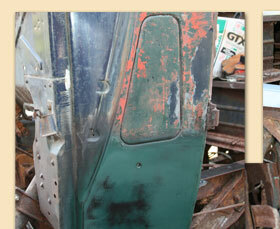 Much of the sheet metal has been removed, exposing some critical rust areas which need to be repaired. The original hood has been replaced with one in better shape. 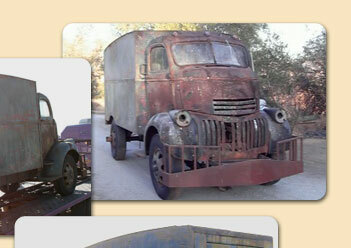 I will add dents and scratches to match the hood from the movie Truck 3. The rest of the front sheet metal has been removed and several panels have been cut out, including the outer kick panels and the interior toe-board structure to allow access to the cab mount pads which need to be replaced. 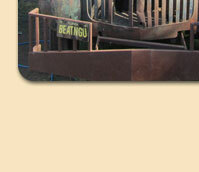 After patch panels are in place, most of the actual surface rust will be removed and replicated. 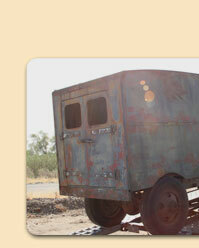 The front wheels which came on this truck were period GMC and have been replaced with stock Chevrolet 5 hole wheels as in the movie. 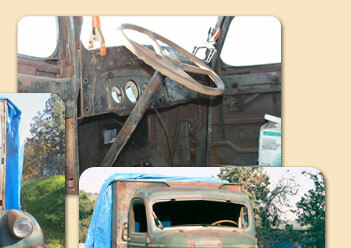 Top left: A patch panel has been prepared and welded in above the windshield. 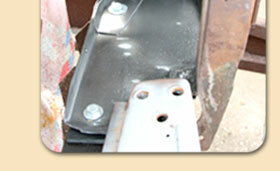 Above: A patch panel for the cowl has been tacked in place ready to be welded. 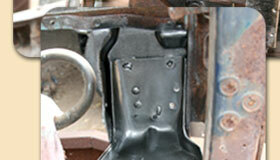 Left: A new dash support has been fitted and welded in. 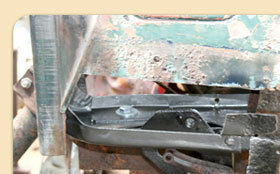 Left and lower left: The left and right cab front foot pads have now been replaced. Lower right: The cab work is coming together. 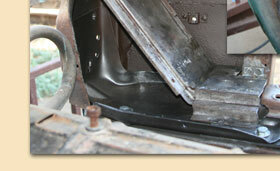 Outer kick panels and inner toe-boards have now been replaced. Time to move on to the rear sheet metal. 12-7-2011: Here is the latest progress of creeper truck 1. 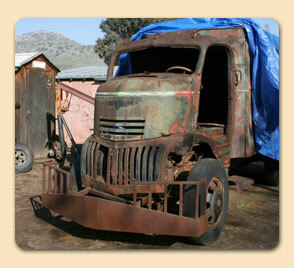 Further cab work has been done, including some rust removal and addition of several better pieces sheet metal. This is now almost an exact duplicate to truck 3 which received the most screen time. 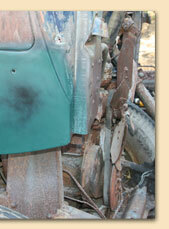 Hood and fender dents have been carefully added with pain-staking attention to detail. Note: The finish is not yet completed. I have decided to place this on an original, but better frame, with small block chevy motor and transmission mounts.That is the next step.